Is this antisemitic? Jeremy Corbyn asked why the mural was to be buffed. And he gave an example of a more famous anti-capitalist mural covered up and replaced in the 1930s. 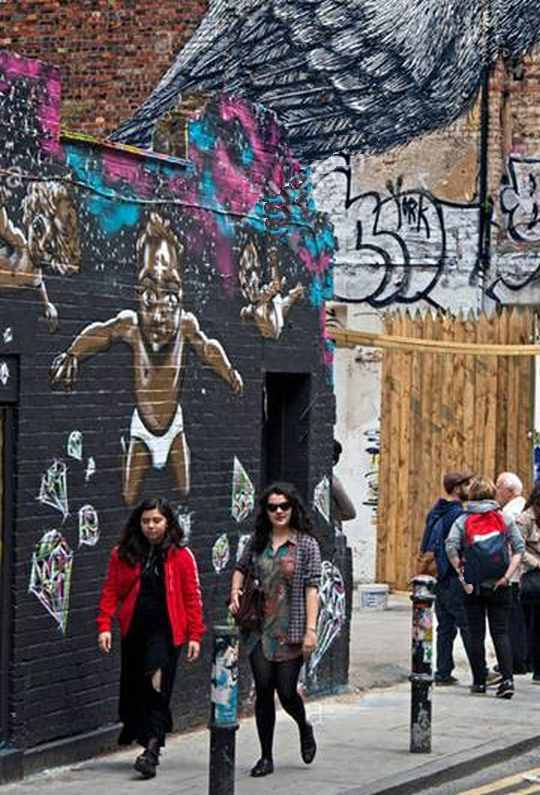 Nowhere is it suggested Jeremy Corbyn saw the actual Freedom of Expression mural in-situ at 45 Hanbury Street, Spitalfields, London E1 5JP. 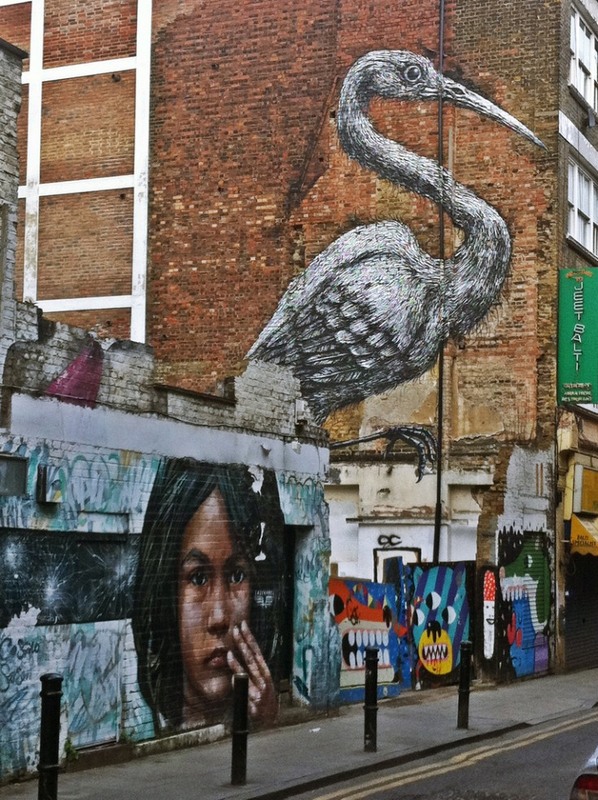 And Jeremy Corbyn at no point criticized the painting-over of the mural demanded by Lutfur Rahman (who you will recall was removed as Mayor of Tower Hamlets, debarred from standing for elected office, and found guilty in court of intimidation, vote-rigging and wrongly smearing his Labour rival John Biggs as a racist, and had a sacred crane, painted for the local Bengali community, covered up). If someone genuinely believes that a person has been antisemitic and is inciting racial hatred, they must report it to the police. It will be taken very seriously indeed. But be aware of the offence of wasting police time under Section 5(2) of the Criminal Law Act 1967, whereby if you knowingly make a false allegation you can be charged with the offence of wasting police time which renders you liable to a maximum penalty of six months’ imprisonment and/or a fine. You will notice that those making allegations of antisemitism in the Labour Party never go to the police. Or the courts. 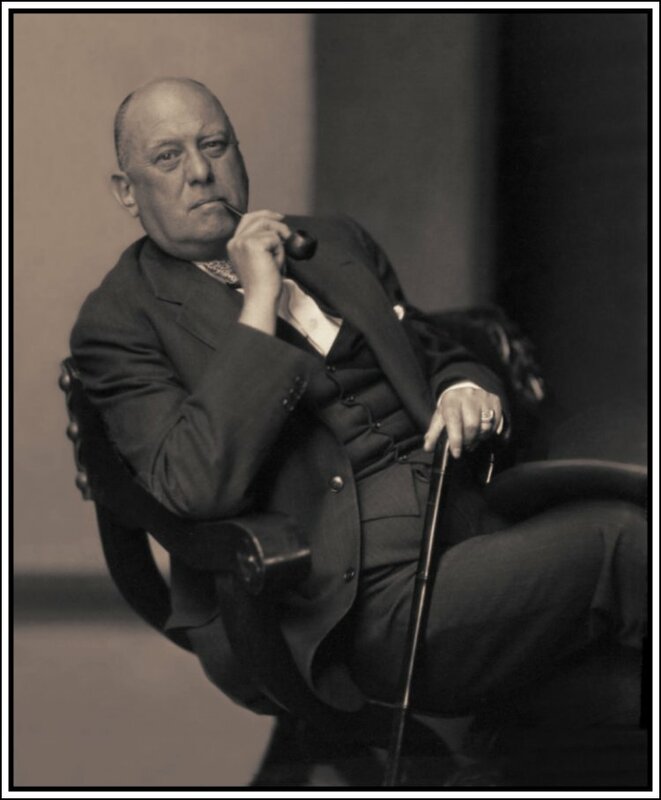 I am a Jew, and I have experienced the sharp end of real anti-Semitism first hand. I know the genuine article when I see it, and I also know a false alarm about anti-Semitism when I see it too. So you can stuff it if you are non-Jewish and you try to tell me which is which. 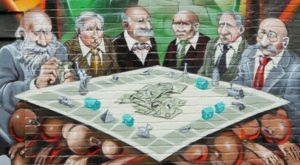 The mural is not anti-Semitic, and this is why. 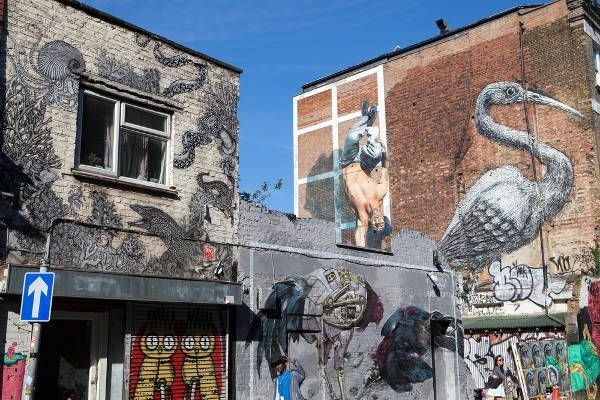 “Luciana Berger triggered last month’s ridiculous clamour about a mural that does not even exist anymore, just as Labour’s Local Election campaign was getting underway. It was so blatant what she was doing, it astounds me how few people have picked up on it. 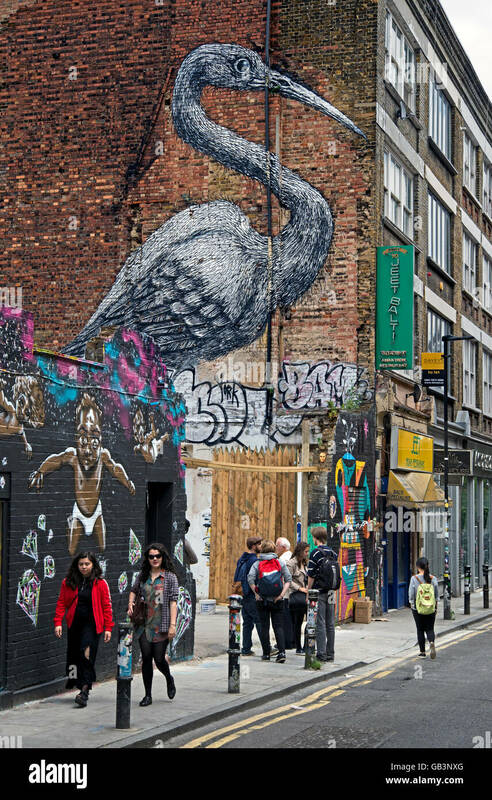 She put up a tweet with a screenshot of Jeremy Corbyn questioning on social media way back in 2012 the removal of the Brick Lane Mural, and claimed that she had demanded an explanation from the Leader’s office earlier that day. Not long after, she put up another tweet complaining that the response of the ‘spokesperson’ from the Leader’s office was not good enough. She did not state what the response was, or what was wrong with it. What is clear is that she had not offered much time for a response. Why did Berger feel the need to announce this on social media? Why did she not make a full attempt to discuss it with Corbyn in private first? Why did she not at least give Corbyn time to look into it and refresh his memory? 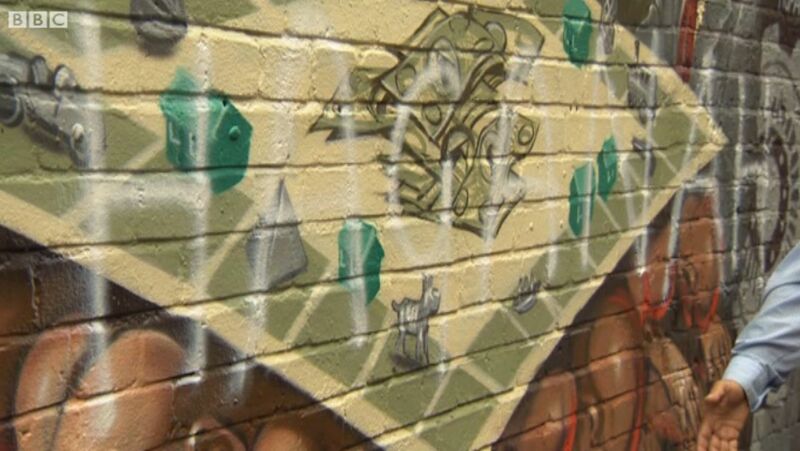 Why did she feel that this was important at all, given six years had passed since the mural had been painted over? Why did she feel it was important, given that, despite the clamour, the mural was not anti-Semitic in its content? Why did she have to announce it then, and not three years earlier when the matter had previously been raised in the media? Why did she have to choose a moment that was sure to de-rail a Local Election campaign? 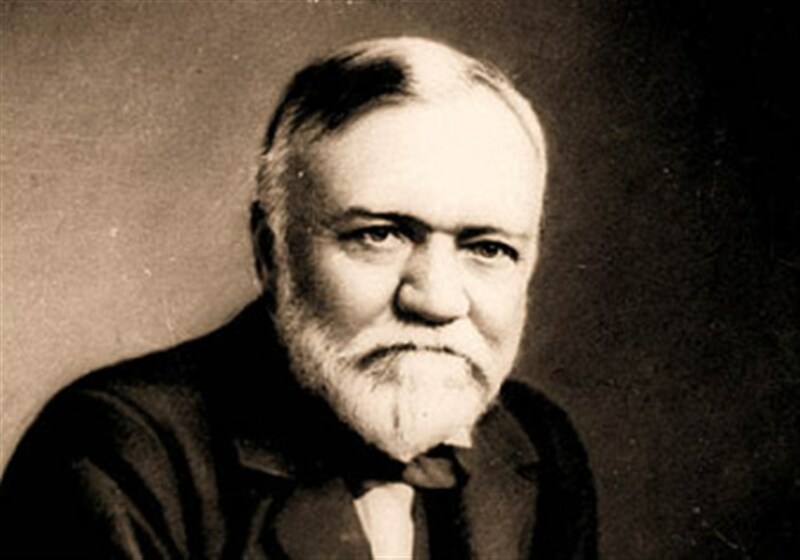 Four Christian figures, two Jewish: “Rothschild, Rockefeller, Morgan, Aleister Crowley, Carnegie & Warburg“. 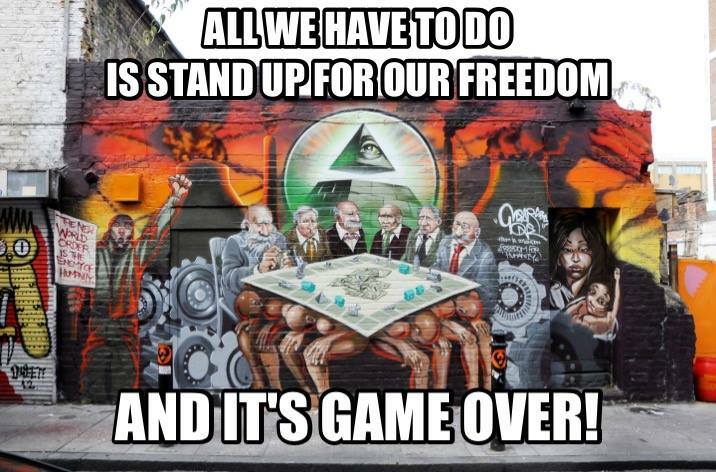 So the mural is anti-Christian, anti-American, anti-antisemitic and antisemitic? Such a view is deeply offensive and ignorant. 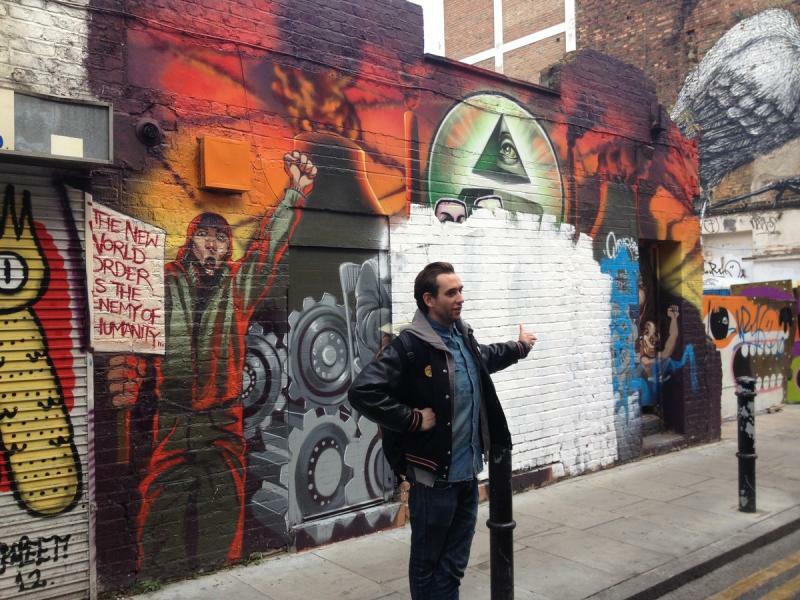 The mural is anti-capitalist. 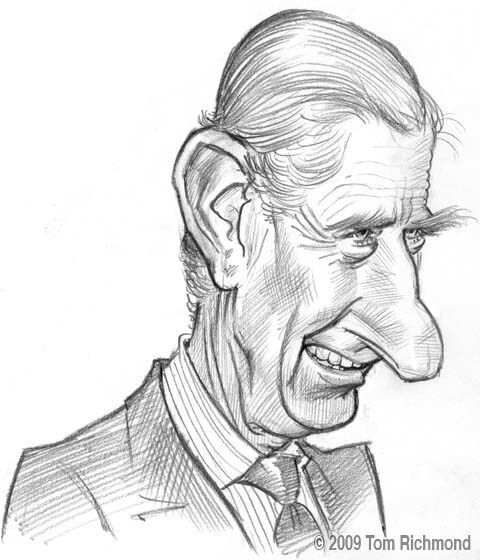 Some say it is the faces with large noses that make it antisemitic. Which makes those critics overtly racist and antisemitic, yes? 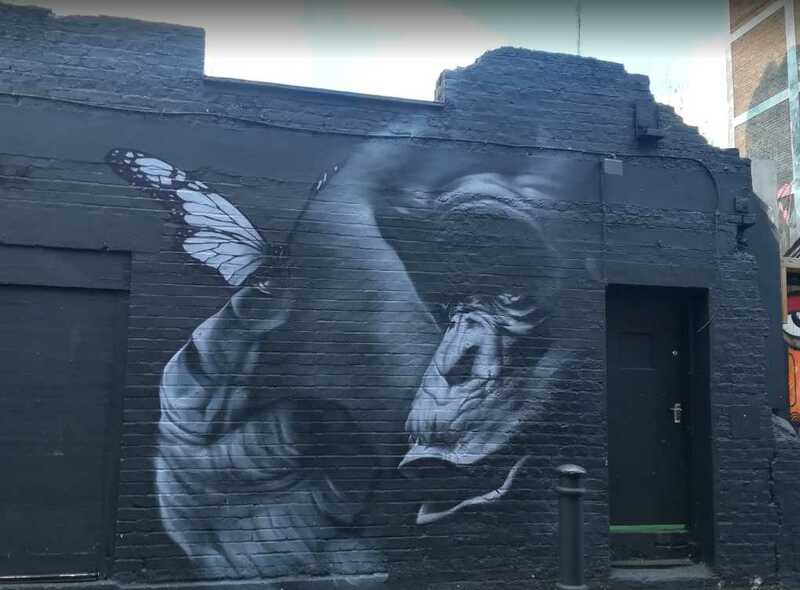 Does that explain why many sources say the mural was in Brick Lane, a better trope for those intending to incite racial hatred than where it was in reality, 45 Hanbury Street? 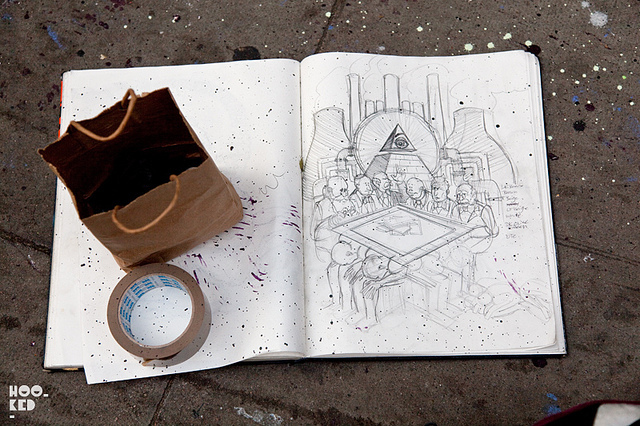 had to be covered up, covering a part of the mural before it was replaced as originally planned. 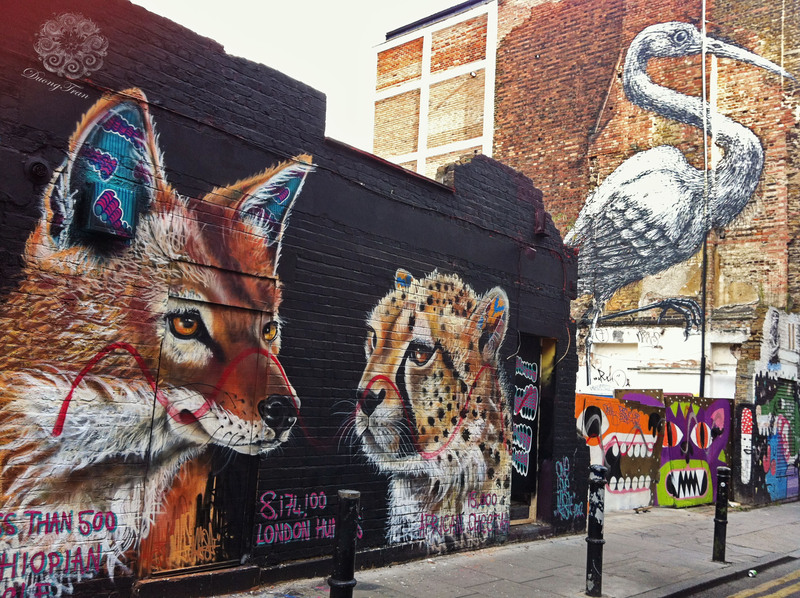 The mural by Duong Tran at 45 Hanbury Street later in October 2012. 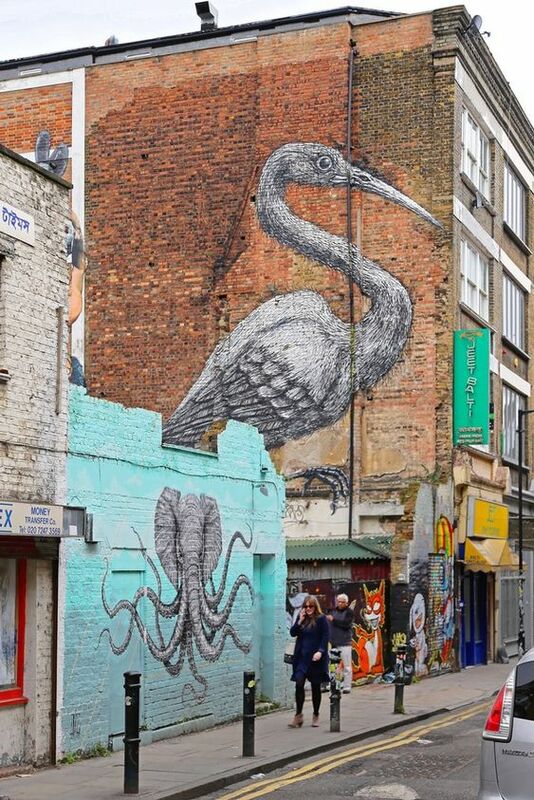 The mural Hybrid Elephant-Octopus by Puerto Rican artist Alexis Diaz (La Pandilla) at 45 Hanbury Street in July 2013. 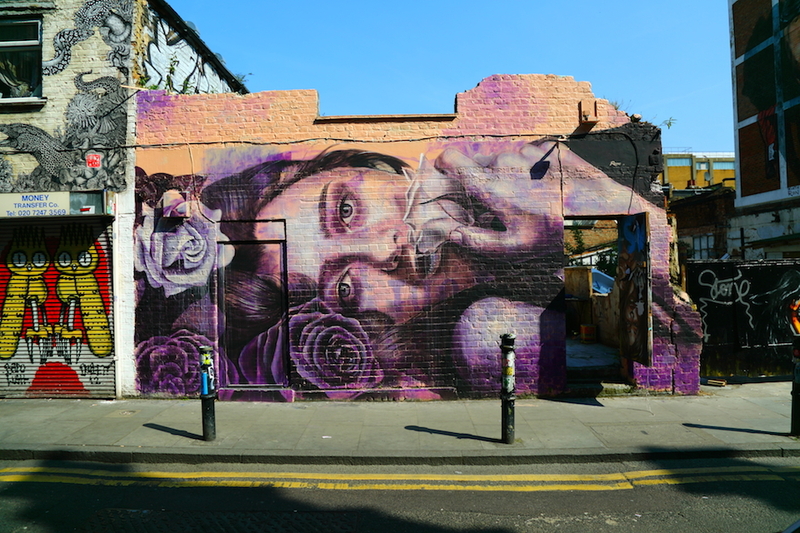 The mural by Australian Rone (Tyrone Wright) at 45 Hanbury Street in May 2014. 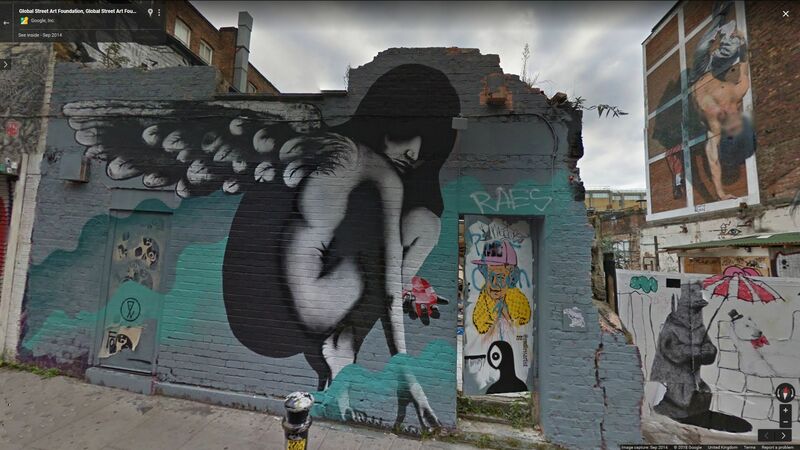 The mural An Angel For Ruby by Eelus at 45 Hanbury Street in August 2014. 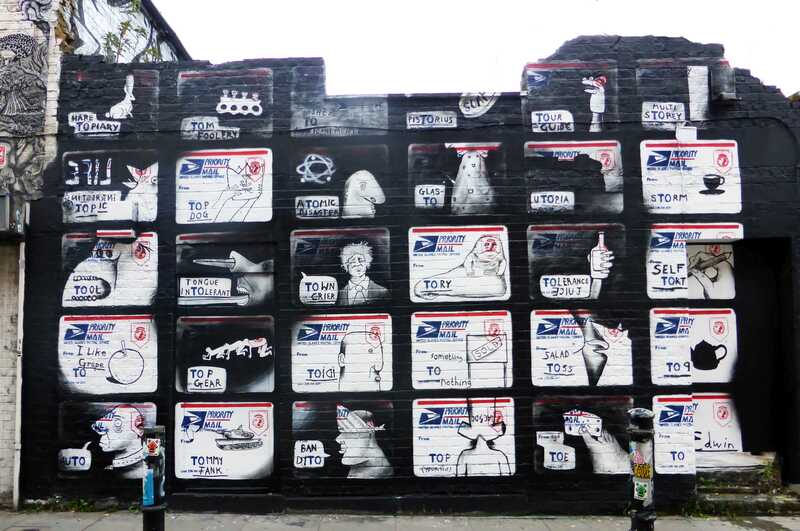 The mural Address Labels Of The United States Postal Service by the Australian artist Edwin at 45 Hanbury Street in November 2014. 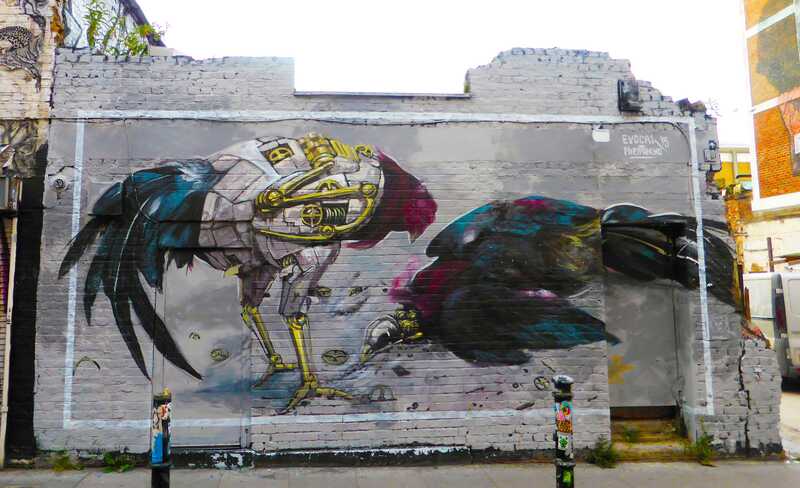 The mural by Italian artist Pixel Pancho and Miami artist Evoca1 at 45 Hanbury Street in May 2015. 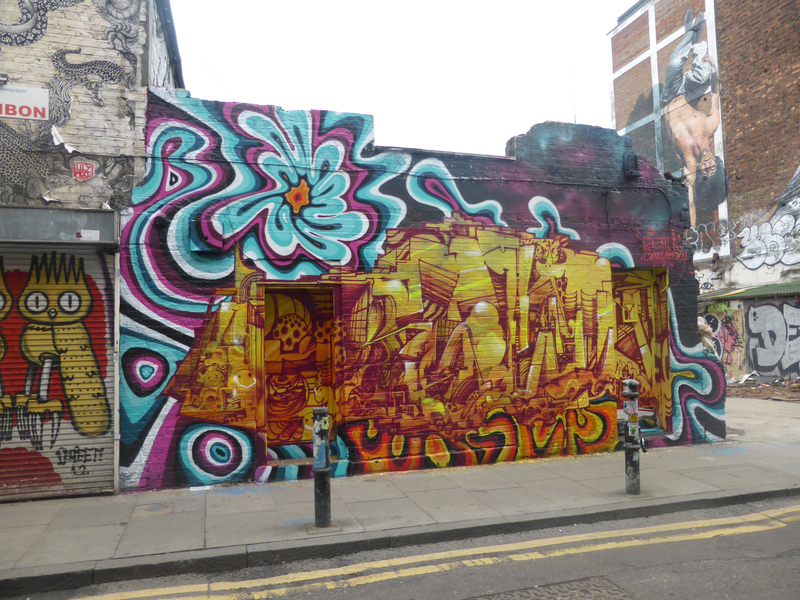 The mural by Puerto Rican artist Alexis Diaz (La Pandilla) and the Argentinian artist Elian Chali at 45 Hanbury Street in July 2015. 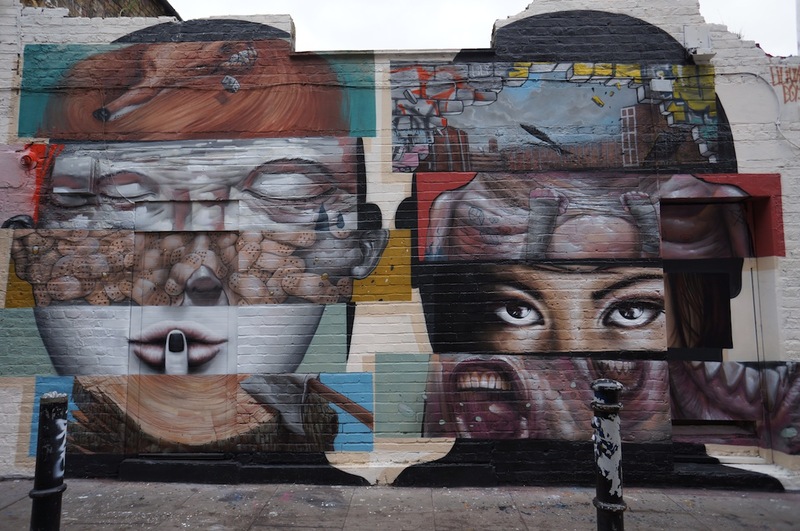 The mural by Neist & Asebueno at 45 Hanbury Street in February 2016. 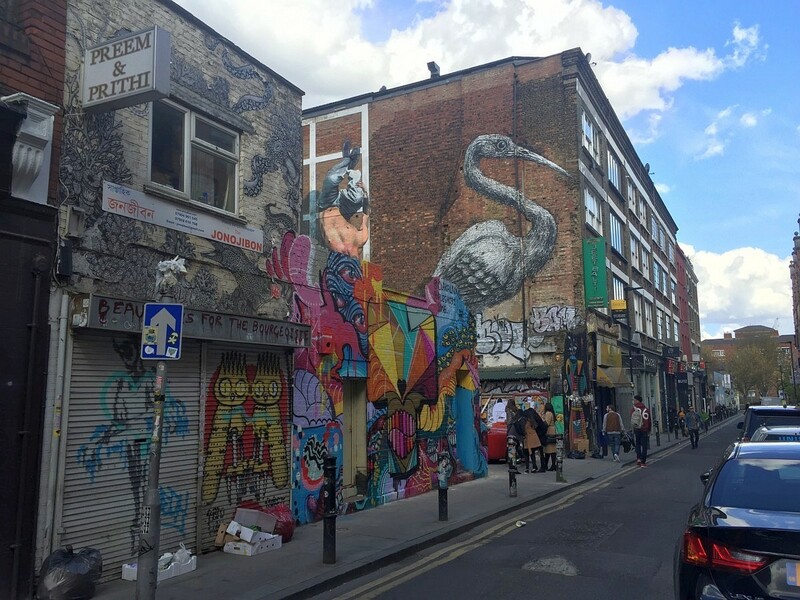 The mural at 45 Hanbury Street in April 2016. 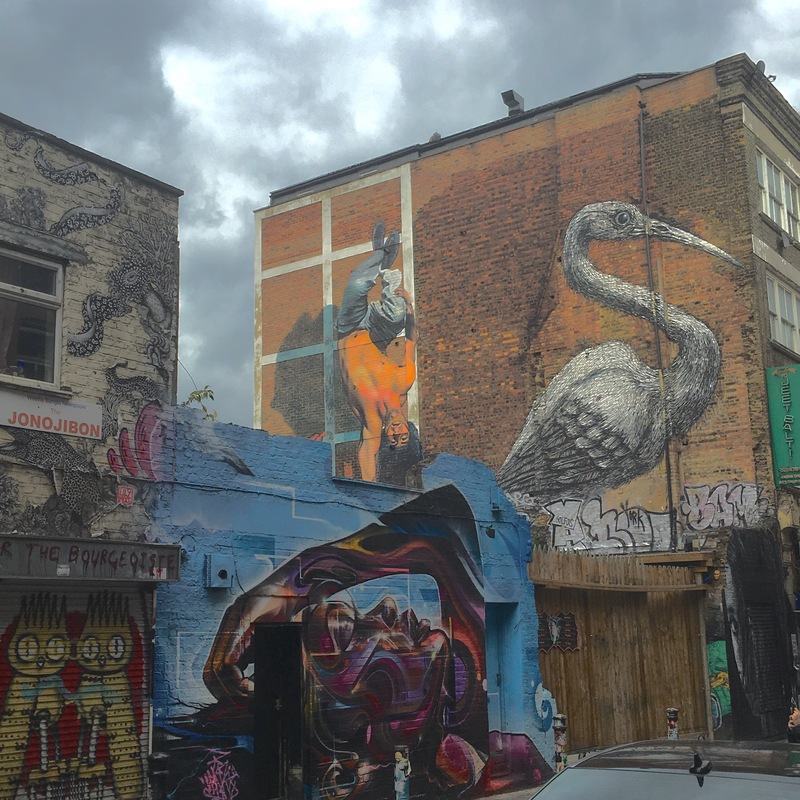 The mural at 45 Hanbury Street in August 2016. 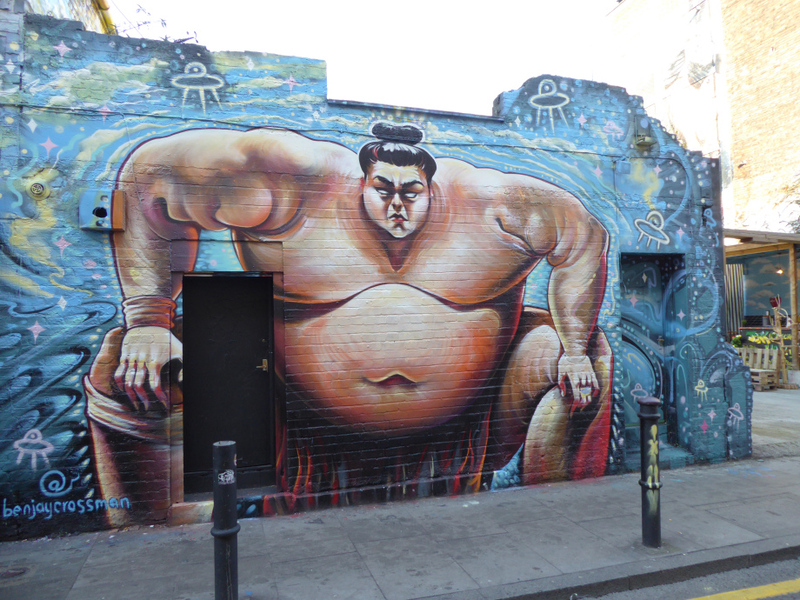 The mural at 45 Hanbury Street in September 2016. 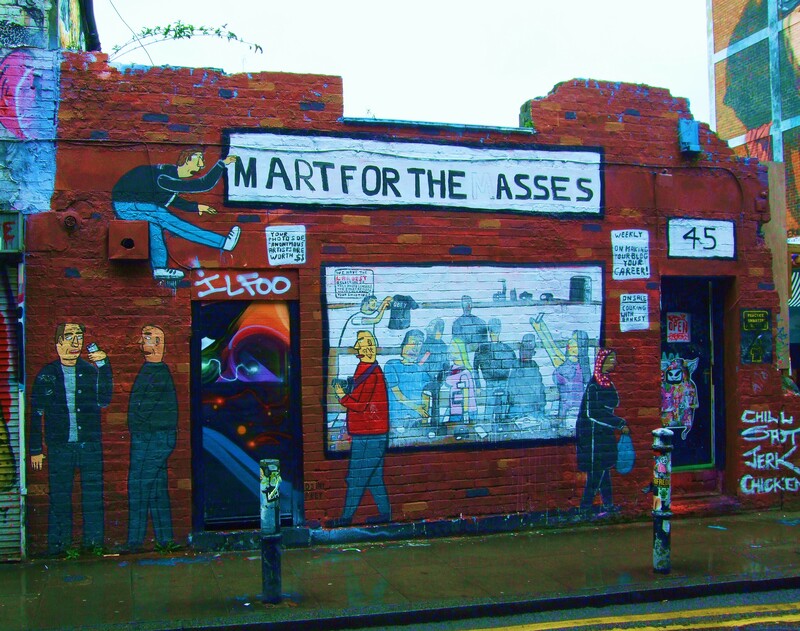 The mural Art For The Masses by Chicago’s Don’t Fret at 45 Hanbury Street in March 2017. 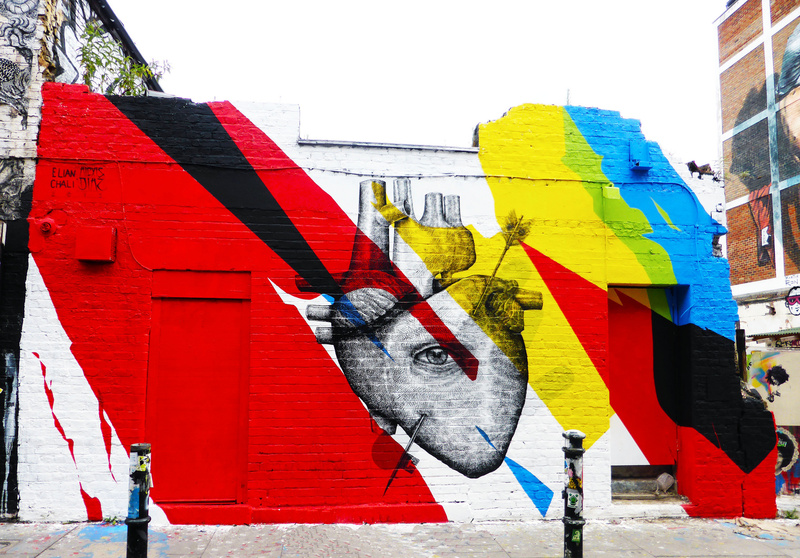 The mural by the São Paulo artist Alex Senna at 45 Hanbury Street in April 2017. 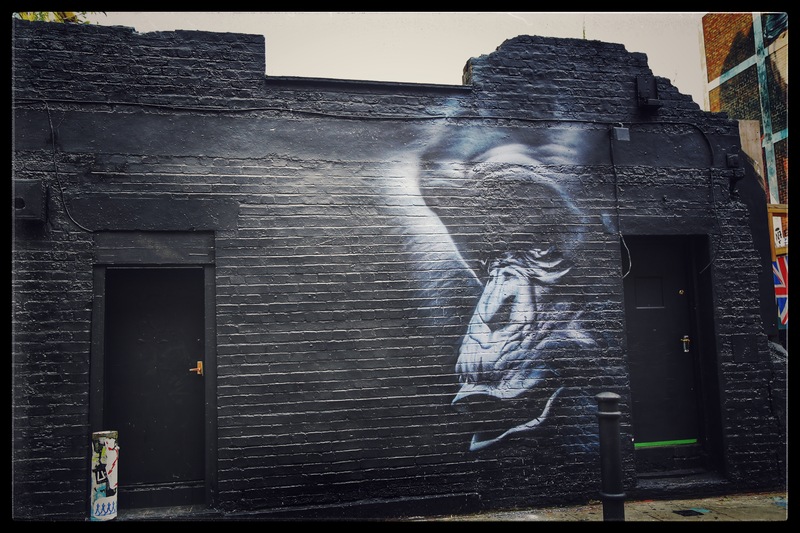 The mural of a gorilla with a butterfly by TraficGraphics at 45 Hanbury Street in November 2017. 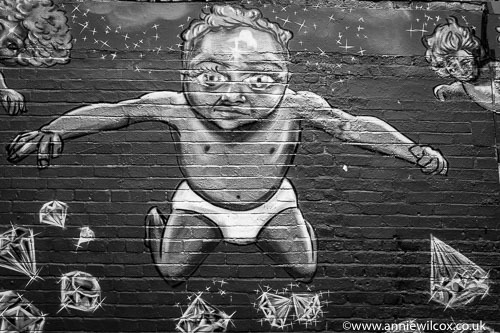 The mural Guardian Angel by Ben Jay Crossman at 45 Hanbury Street in September 2018. The wall has been an ever-changing mural for some time. 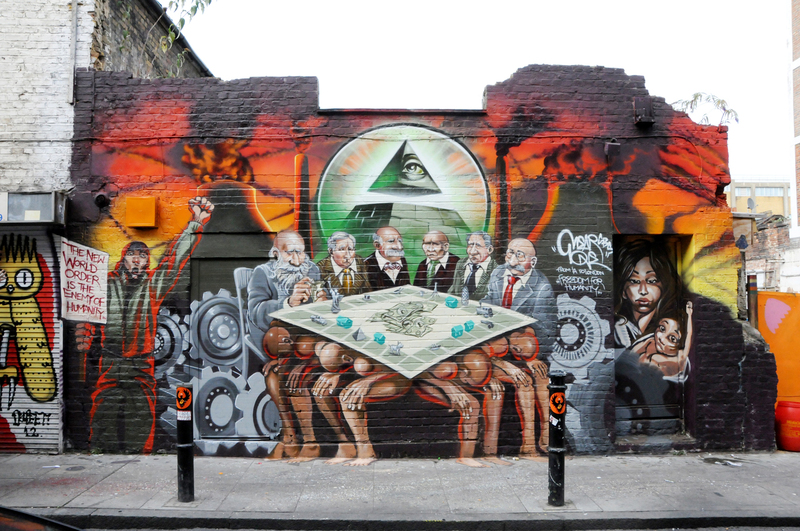 The Angry Extremists by Ben Slow was the mural Mear One replaced for 3 1/2 weeks in 2012. 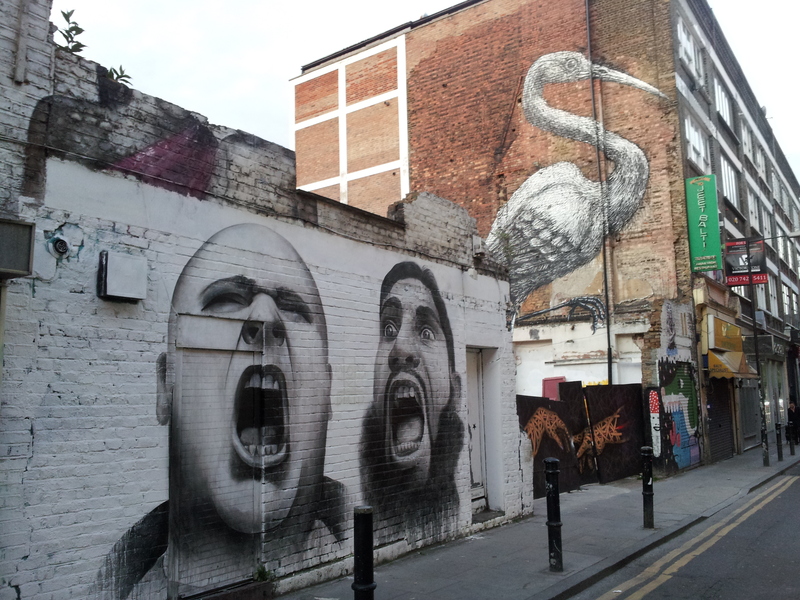 The mural by Bom.K of Da Mental Vaporz and Liliwenn at 45 Hanbury Street earlier in September 2012 . 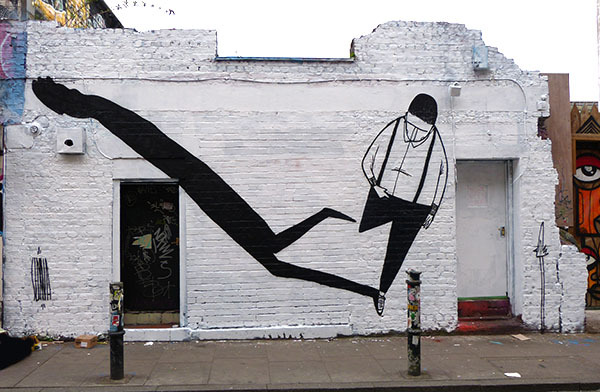 The mural by Cosmo Sarson at 45 Hanbury Street even earlier, in 2011. 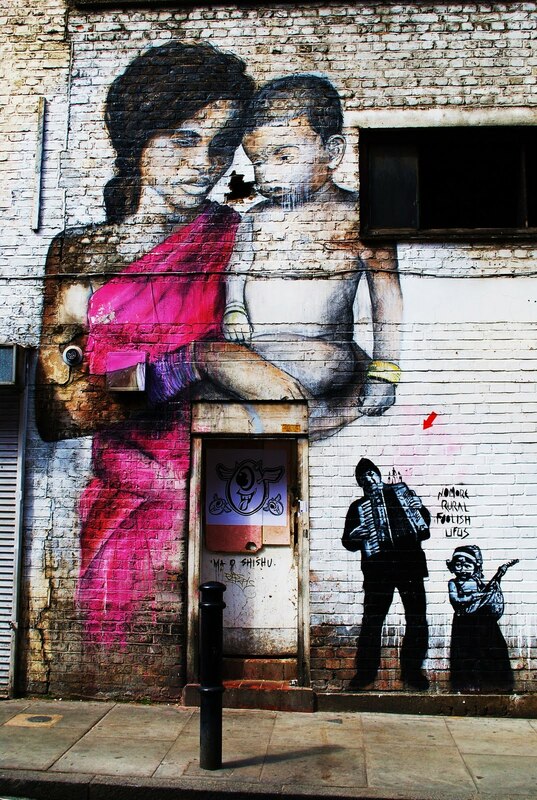 The mural Mother & Child by Ben Slow and Ma o Shishu at 45 Hanbury Street even earlier still, in 2010. 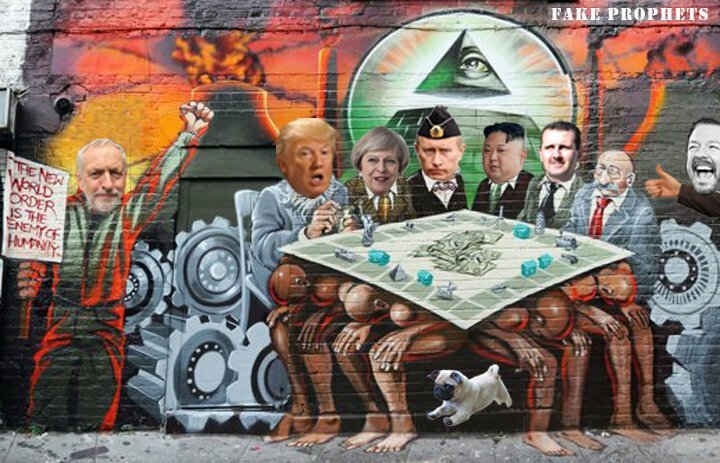 There have been many spoofs of the mural, this one was was found on anti-Labour activist Luciana Berger’s Twitter page. Bashar al-Assad (بشار الأسد‎), Max Warburg (surviving from the original mural) & Ricky Gervais.